We all grew up hearing horror stories from our parents…”Keep touching it and you’ll go blind” or “if the wind changes your face will stay like that”. Meant as a deterrent, to stop us doing that thing they didn’t want us to do, these urban myths always concluded with someone suffering a horrible fate. But what if these fables weren’t made-up, what if they became reality? 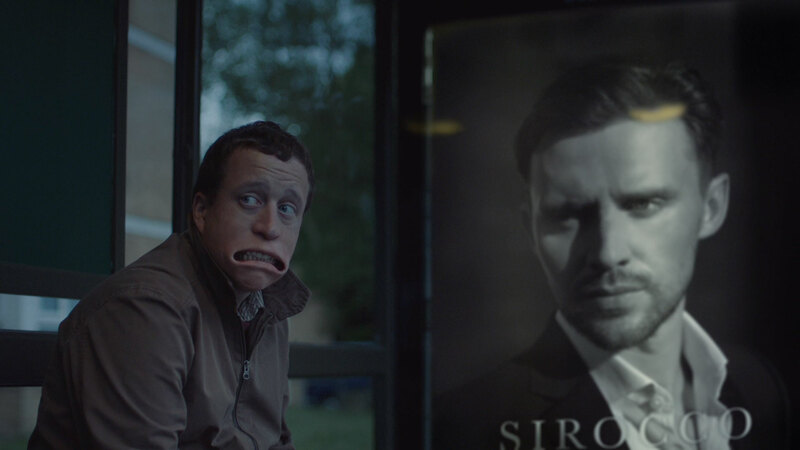 Well this is the scenario humorously explored in surprisingly touching short Cautionary Tales, an 8-film from directorial duo Luke Taylor and Chris Barrett aka Us. “The whole idea stemmed from the lies parents tell their children”, the directors reveal in conversation with Short of the Week. “We found it fascinating that parents tell their children not to lie, but they constantly do just that. We focused on the somewhat dark cautionary tales parents use to scare their children into behaving…We loved the idea of imagining a world in which these tales had come true and these kids have lived their whole lives with these disfigurements”. The impeccable production of Cautionary Tales owes a lot to the stellar prosthetic work created by Matthew Smith and his team. “We knew that this film would live or die on the prosthetics not only looking great but also physically working” Taylor and Barrett explain. “We very much wanted everything to be in camera to create a believable world albeit a very heightened one. We wanted the actors to look around the room and truly believe each of the characters were real. If they looked funny or silly in anyway the illusion of this would be shattered”. You can find out a little more about the production of Cautionary Tales in this ‘Making of’ video. Luke and Chris are currently “brewing up” new ideas for narratives whilst working on some music videos and commercials.